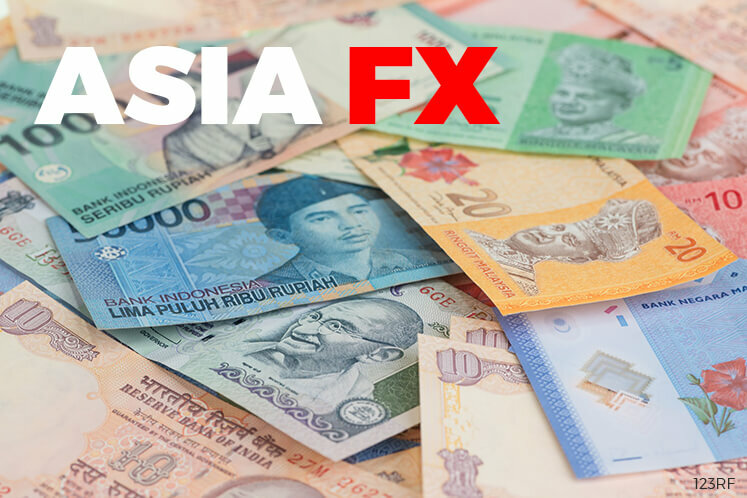 SINGAPORE (March 31): Asian currencies eased on Friday but most remained on track for quarterly gains, supported by inflows and as the US dollar was weighed down by uncertainty over the Trump administration's economic policy agenda. Asian currencies showed little reaction on Friday to news that US President Donald Trump will sign executive orders to identify abuses that are causing massive US trade deficits and clamp down on non-payment of anti-dumping and anti-subsidy duties on imports. Most emerging Asian currencies were slightly lower on the day, with the Taiwan dollar, South Korean won and Chinese yuan all slipping 0.1%. The new US executive orders have mixed implications for emerging Asian currencies, said Trinh Nguyen, senior economist for Natixis. "A lot of Asian countries have non-tariff barriers to trade and so if the US tries to level the playing field in this regard, it will make Asian exports less competitive. This should push downward pressure on the currencies," Nguyen said. At the same time, the US focus on addressing its trade deficits with trading partners could make some Asian authorities reluctant to intervene in foreign exchange markets, she said. "This comes with a caveat that most Asian countries have current account surpluses.... This means that Asian central banks are also likely to intervene less to avoid being labelled a currency manipulator," Nguyen said. A US Treasury Department report on the foreign exchange policies of major trading partners is expected in mi-April, and large Asian exporters are concerned the report could label them currency manipulators and possibly lead to punitive tariffs. South Korea's finance minister said last week the possibility of the United States branding South Korea a currency manipulator could not be ruled out. Separately, there have been signs recently that Taiwan's central bank has pulled back on intervention to weaken the Taiwan dollar amid such concerns about the US report. Against this backdrop, the won and Taiwan dollar have outperformed, helped by foreign investor inflows into South Korean and Taiwanese equities. The won has risen roughly 8% versus the US dollar this quarter, putting the won on track for its best quarter since the third quarter of 2009. The Taiwan dollar has advanced about 6.4% against the US dollar this quarter, putting it on track for its best quarter since the first quarter of 2008. Most Asian currencies were on track for quarterly gains versus the greenback, which has been hampered by uncertainty over the prospects for pro-growth fiscal policies from the Trump administration. China's yuan slipped against the US dollar as investors braced for a tense first meeting between US President Donald Trump and Chinese President Xi Jinping next week. The leaders of the world's two largest economies are scheduled to meet next Thursday and Friday for the first time since Trump assumed office on Jan 20. Trump set the tone by tweeting on Thursday that the United States could no longer tolerate massive trade deficits and job losses. Going into the summit, there could be some selling of Asian currencies for position squaring, said Peter Chia, FX strategist for United Overseas Bank. "Heading up to that... we may even see some dollar-buying or selling of Asian currencies because generally there are gains to be taken off the table ahead of the big event," he said.